Hot Deals – Refurbished Nikon D7500 Body for $899, w/ 18-140mm Lens for $1,119 at BuyDig ! Nikon USA authorized dealer BuyDig has hot deals on refurbished Nikon D7500 cameras. 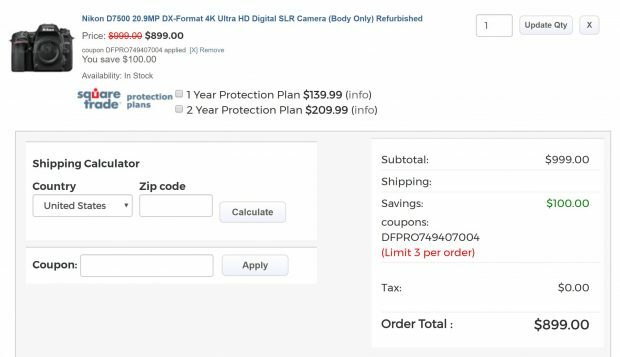 After use promo code DFPRO749407004 when checkout, you can get refurbished Nikon D7500 body for $899, and D7500 w/ 18-140mm lens kit for $1,119. Coming with 90-day Nikon USA warranty.